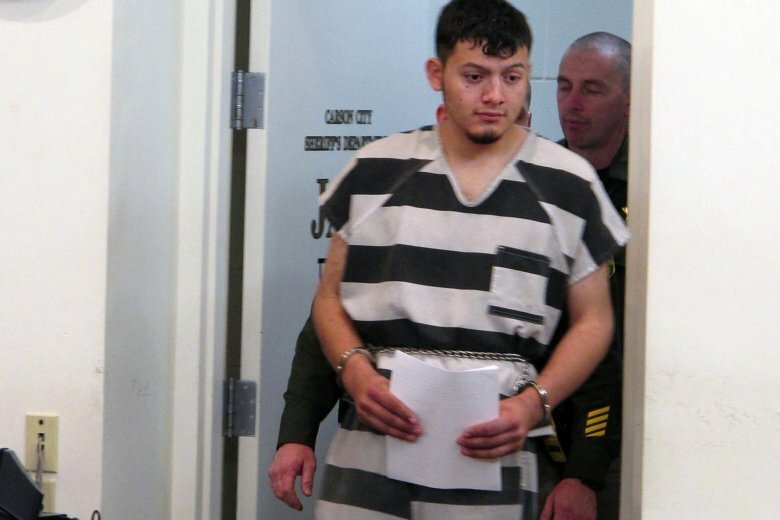 Prosecutors in Nevada say they’ll seek the death penalty for a Salvadoran immigrant in the U.S. illegally who is charged with killing four people in January. Washoe County District Attorney Chris Hicks said Thursday that Wilber Ernesto Martinez-Guzman’s immigration status has nothing to do with the decision to seek capital punishment. He’s accused of fatally shooting an elderly Reno couple and two women in neighboring Douglas County during a week-long robbery spree in January. Federal officials say Martinez-Guzman is in the United States illegally but they don’t know how or when he got here.